The Seven Seas Cruising Association (SSCA) is pleased to offer ham exam sessions at any time anywhere cruisers congregate. If you'd like help organizing an exam session where you're cruising, contact hamexams@ssca.org for more details organizing or partaking of an exam session. Examinees do not have to be SSCA members OR even US citizens. The only restriction is that non-US Citizens cannot be a representative of a foreign government. If you are in the U.S., many organizations sponsor ham exams on a regular basis. If you are looking for some help getting started or finding an exam, feel free to contact us for help finding an exam session near you. Most exam sessions require pre-registration. Contact hamexams@ssca.org to inquire about the details of a specific exam session. Amateur (or ham) radio is an infrastructure-free worldwide communications tool. Individual operators operate from their yachts, homes, cars or tents, creating a network of learning, good will and safety worldwide. Amateur radio by definition is non-commercial. In order to legally operate on amateur radio frequencies, an individual should possess the appropriate license. The Federal Communications Commission (FCC) of the USA does not conduct amateur (ham) license tests directly but use VECs or volunteer examiner coordinator groups that provide the infrastructure for VEs (volunteer examiners) to conduct testing. The VEC group is the liaison to the FCC. The US is a member of the ITU, International Telecommunications Union of the UN, so a US amateur radio license is recognized by the 193 ITU member states around the world. 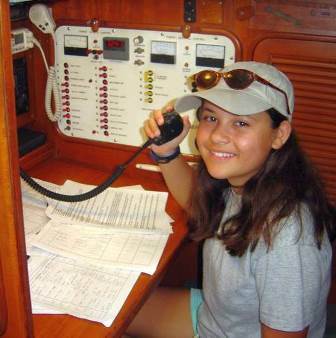 Recently, the Seven Seas Cruising Association has joined with the Laurel Amateur Radio Club VEC group to accredit "at large" volunteer examiners amongst the SSCA membership, so that testing can take place during SSCA events. Laurel-accredited volunteer examiners from crews from the yachts, Bravo, Red & Evanstar will conduct the session. Test results will be submitted to the U.S. Federal Communications Commission, and examinees will subsequently be issued a U.S. Amateur Radio (ham) License. In the US, amateur licenses are now issued at three levels or classes: Technician, General and Extra. Exams for each class are called elements and should be taken and passed in sequence. There is no Morse code proficiency required; all testing is multiple choice. Element 2: 35 questions selected at random from the question pool concerning the privileges of a Technician Class operator license. The minimum passing score is 26 questions answered correctly. Element 3: 35 questions selected at random from the question pool concerning the privileges of a General Class operator license. The minimum passing score is 26 questions answered correctly. Element 4: 50 questions selected at random from the question pool concerning the privileges of an Amateur Extra Class operator license. The minimum passing score is 37 questions answered correctly. 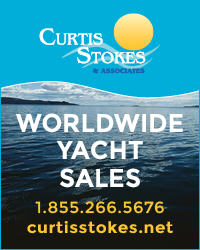 In order to access worldwide cruiser support nets and free amateur radio email (Winlink), an individual aboard a yacht would need to pass two written exams (Elements 2 & 3), which qualifies them for a General Class license. These two tests can be taken on the same day and often are. Material is similar but the question pool is different for each element. https://hamstudy.org is a highly-recommended site favored by recent test-takers, if you have good internet access. http://www.kb6nu.com/study-guides/ is a site offering free downloadable PDF files (or very low cost Kindle format files).